What shall we do with the shrunken sailor? 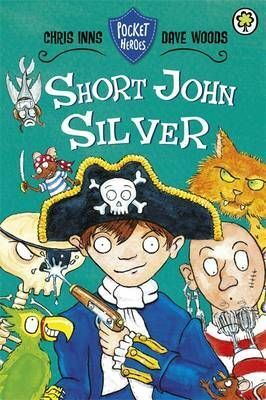 Short John Silver has a map to buried treasure but no ship to sail in. So with the help of Captain Poopdeck and his motley pirate crew, he sets out to seek his fortune. But first the scurvy sailors have to brave the deadly seven seas before they can get their hooked hands on the secret hoard! A high-seas adventure with a low-stature pirate!